We are READi for the Autism Speaks Walk this Saturday! If you are participating the Autism Speaks Walk this weekend, please look for us in our READiLab T-shirts! 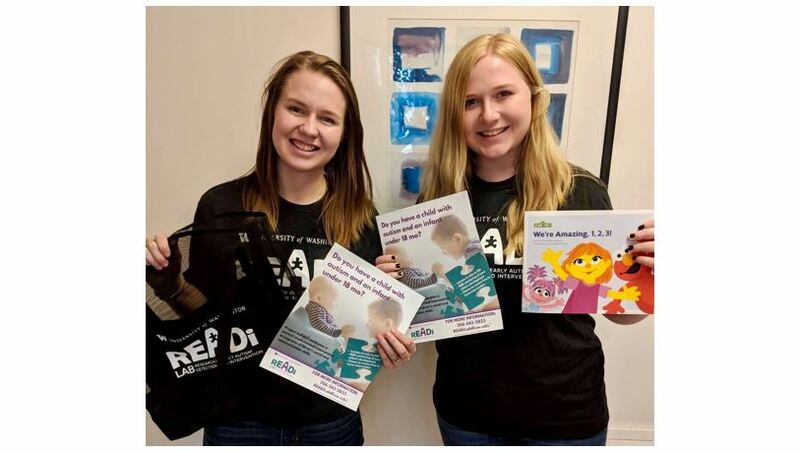 Hailee and Danielle will be joining the walk this year to represent our lab and to hand out limited-supply goodies. They will be sharing resources with families, as well as information about our ImPACT early intervention study, for which recruitment is ending in November. The Walk will take place Saturday, September 22 from 9am to 12pm at the Seattle Center. For more information about the walk, and to register for the event, click here. We hope to see you there!